The interest lies in Jinshanling hike that goes up to 10 km Simatai in about 6 hours after crossing 30 guard towers and quite dangerous cliffs. Some people leave in the afternoon and spent the night in a tower to watch the sunrise. To get there, take a bus from the bus station Donzhimen to Miyun then change bus to Gubeikou stating that you are going to Jingshanling changcheng. 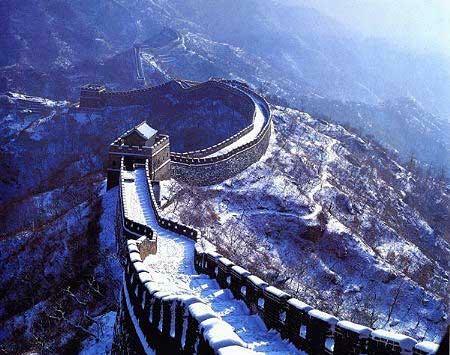 The return is not as obvious as Simatai and that's why we made ​​the trek to this section of the Great Wall.